The company planning to mine the seabed of Papua New Guinea's Bismarck Bay has advised that it's cutting back its activities because of money pressures. Nautilus Minerals is reducing its workforce and ending contracts for the construction of equipment for the seafloor mining it was expecting to begin by 2018 for its Solwara 1 project in PNG. Mining Weekly reported the company saying it was looking for 'significant additional project funding.' Nautilus's plan had been to mine high-grade polymetallic seafloor massive sulphide deposits. 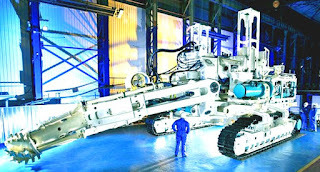 Mining Weekly said the joint venture had already taken delivery of the three main seafloor production tools which had been built in England. They were scheduled to undergo extensive wet testing in Oman. The underwater mining project, a world first, has faced fierce opposition from environmentalists and the communities surrounding Bismarck Bay.